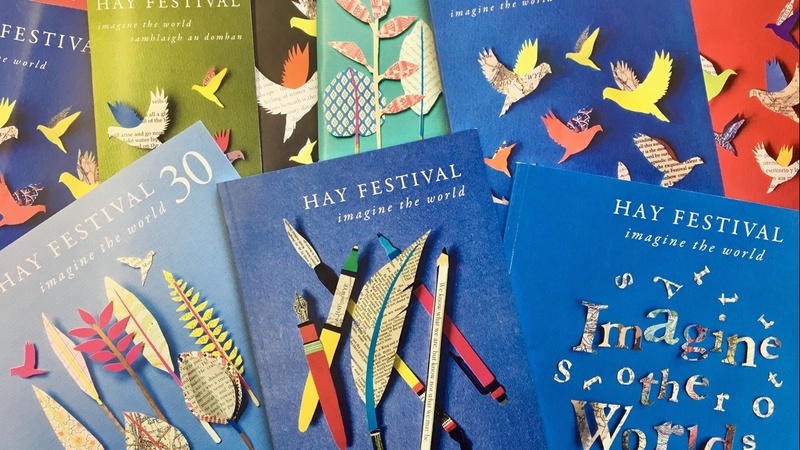 Artwork designer Aine Venables has produced the artwork for Hay Festival since 2015. She creates the images using a mixed media made up of gathered materials that reflect the themes of each festival. 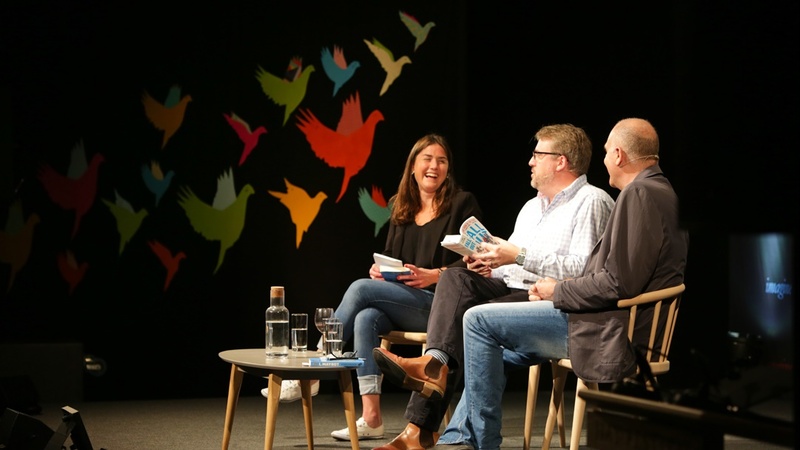 Aine works with paper ephemera, such as endpapers, maps, printed texts and postage stamps to produce these engaging cover designs, which are then adapted for other Hay Festival products. 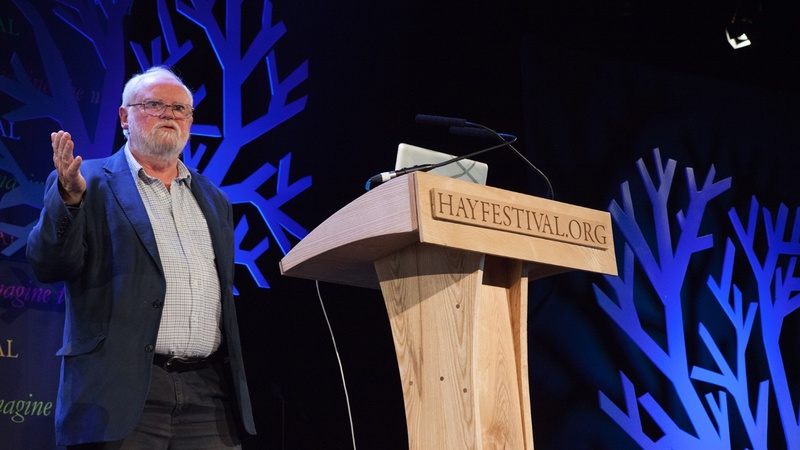 As well as producing the artwork, Aine also works as Education Manager for Hay Festival. 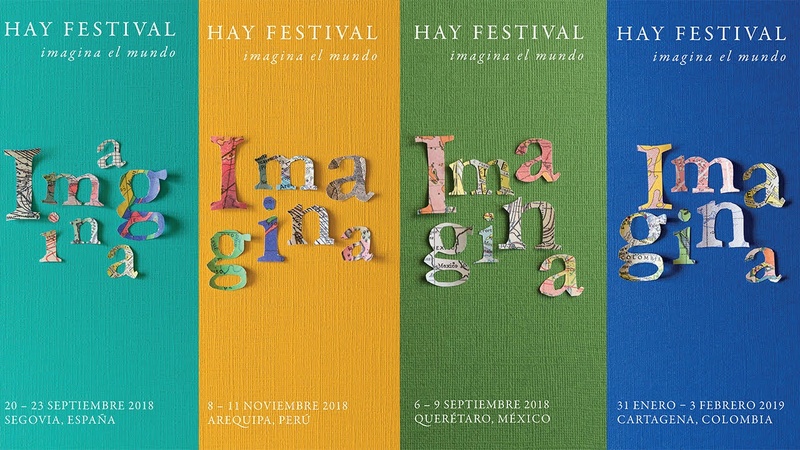 2018 international covers created in mixed media using printed materials from each country, such as street maps, postage stamps and endpapers. 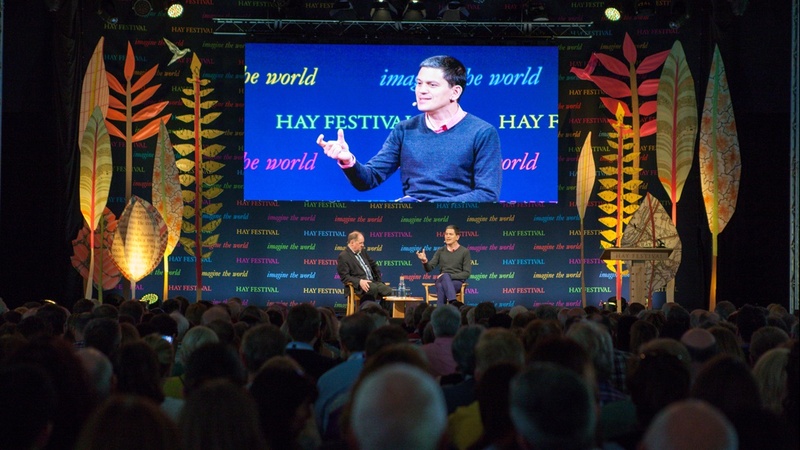 Aine's artwork been interpreted and scaled up to produce Hay Festival stage sets from 2015 through to 2018. Images below display her set designs for (left to right): the Tata Stage 2017/18, the Good Energy Stage 2017 and the Telegraph Stage 2016. Visit Aine's website to find out more about her work.